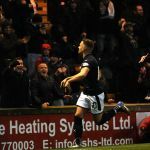 Raith Rovers progressed to the fifth round of the Scottish Cup, after a comprehensive 3-0 win over Dunfermline Athletic. 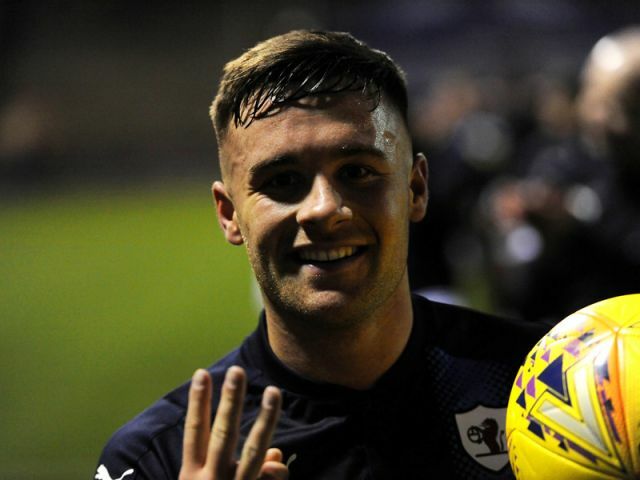 Lewis Vaughan was the man who made the difference, becoming the first Rovers player to score a hat-trick in this fixture since 1938, with his 12 minute triple salvo easing Raith home, after Dunfermline had looked the likelier side over the opening hour. However, a dismissal for Lee Ashcroft turned the game in Rovers favour, and they took full advantage, as they defeated their rivals for the first time since August 2016. John McGlynn made one change from last weekend’s 1-1 draw with Airdrieonians, with Nathan Flanagan coming in at the expense of Liam Buchanan. The change allowed Vaughan to start this game in the position he ended the last, up top, after starting that draw in Lanarkshire wide on the left. 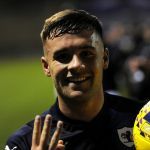 In front of a busy Stark’s Park, Rovers were the first to threaten, with Vaughan picking up possession on the right touchline and hitting the byeline, but while his low cross was fizzed along the six-yard box, Lee Robinson gathered well. It was no more than a half chance to create an opportunity however, but it was arguably as good as it got in the game’s opening stages, with chances in the two final thirds at a premium, although the away side were edging it in terms of possession. 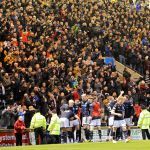 They were having digs at goal too, albeit wild ones, with Kallum Higginbotham and Faissal El Bakhtaoui both trying their luck from 25-yards out, but their attempts sailed impotently into the home end. 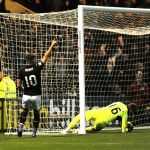 Rovers were struggling to gain much traction of their own, although Vaughan tried his own speculative effort in the 15th minute, which failed to trouble Robinson in the away net. Rovers attempts to build from the back were being hindered by the Pars high press, and their short corner routines weren’t exactly going to plan either, with Vaughan and Daniel Armstrong somehow managing to put the ball out for a Dunfermline throw from a set-piece that presumably worked better on the training ground. 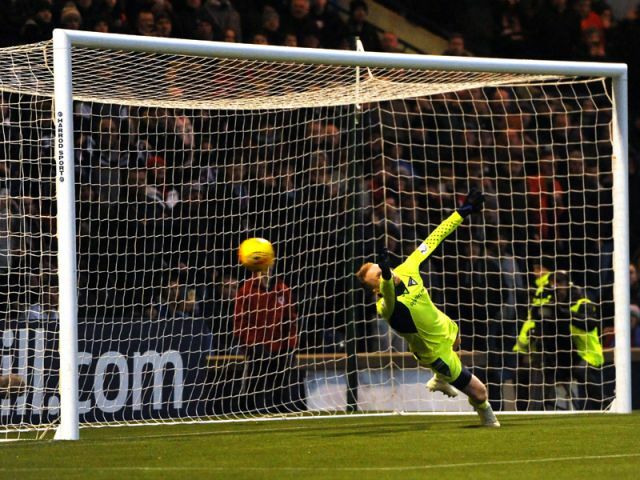 Raith did come close to taking the lead in the 28th minute with their best move of the match. Callum Crane and Nathan Flanagan combined well down the left, with the latter’s cross finding Vaughan in the penalty area, but while his first time effort had zip, it lacked accuracy and flew past Robinson’s right-hand-post. 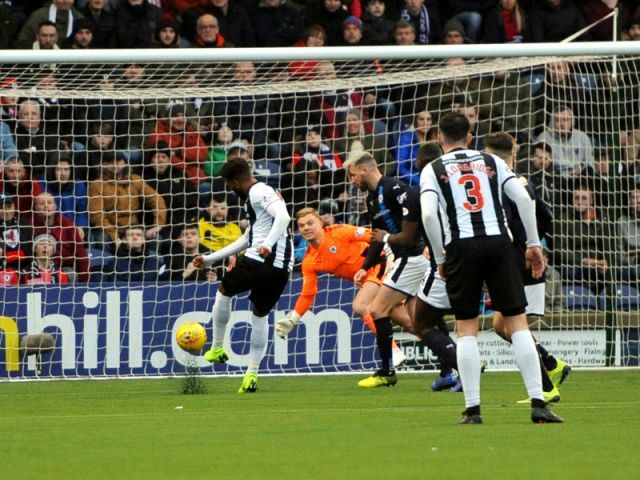 Dunfermline’s attempts were higher in number but similar in terms of accuracy, with Hippolyte the next to try his luck with a free-kick 20-yards from goal, but his attempt was two yards over the bar. Dunfermline should have taken the lead after 36 minutes though, and only failed to do so due to an extraordinary stop from Robbie Thomson. With the ball pinging around the Rovers penalty box, Hippolyte eventually managed to get his foot on it, and with Thomson both un-sighted and not set, it looked a straightforward finish for the Dunfermline winger, but despite thumping a shot towards the bottom right-hand corner, Thomson flung himself right and turned the effort away. It was a breathtaking stop, but momentum was very much with the away side at this stage, with Rovers struggling to gain any kind of significant possession in the Pars half. With Dunfermline’s tails up, the half-time whistle was probably a welcome sound, as Rovers reached the interval without any damage inflicted. The second period started in a similar vein however, and Stevie Crawford’s side should have taken the lead in the 48th minute, when the ball was patiently worked towards El Bakhtaoui, but his finish was tame and straight at Thomson. Rovers were being penned in at this point, with wave after wave of Athletic attacks, but as they’ve demonstrated for the majority of this campaign, they seemed to lack anyone who could make good on them, with Rovers, just about able to keep them at bay. 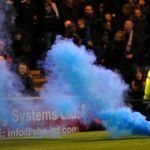 El Bakhtaoui was proving to be both a pest to Rovers and a nuisance to his own team-mates, with his decisions to shoot on sight infuriating some of his colleagues, and Higginbotham in particular, who seemed to be seething at the forward’s profligacy. 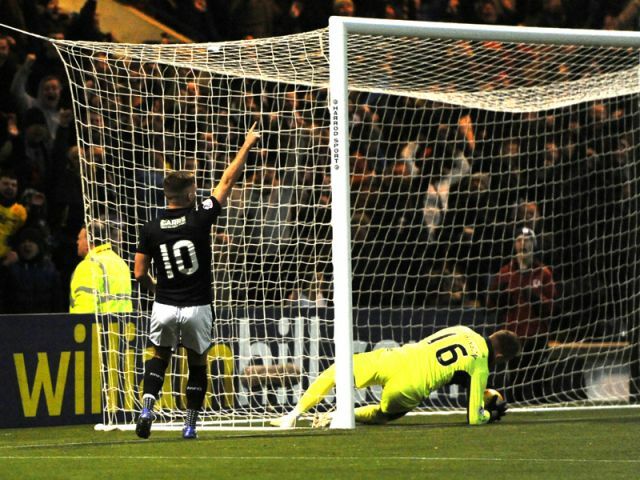 Rovers got a huge break in the 55th minute however, and it was a game changing moment, when Dunfermline were reduced to ten men. Chris Duggan got the better of Ashcroft 25-yards from goal, and with Duggan sent sprawling, referee Bobby Madden adjudged the offence as being worthy of a red card, meaning Ashcroft was forced to walk disconsolately down the tunnel 35 minutes earlier than he’d intended. 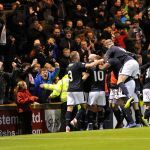 The direct free-kick was completely wasted however, and it was the away side who continued to look the more dangerous, with Higginbotham striding forward and lashing a poor effort high into the McDermid Stand. 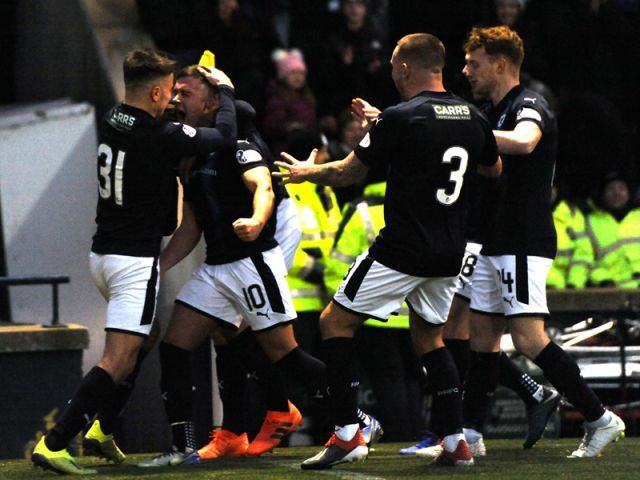 The red card meant a reshuffle for Dunfermline, with El Bakhtaoui withdrawn for Mark Durnan, which had the combined effect of shoring up the Pars backline, and reducing Higginbotham’s blood pressure. 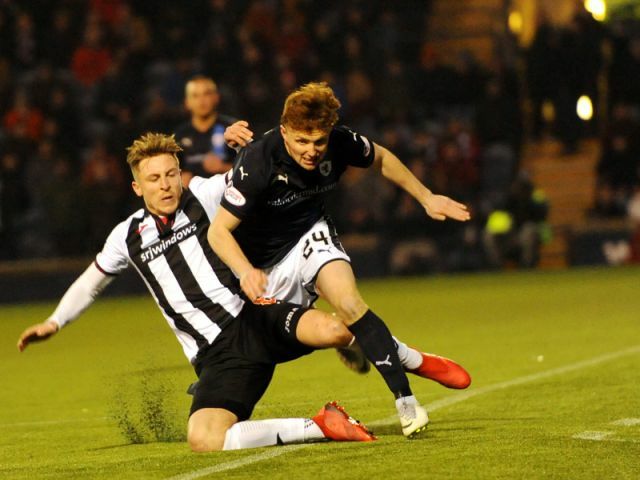 Even shorthanded, Dunfermline were doing all the running, and Jackson Longridge almost broke the deadlock with half an hour left, when his shot from the edge of the area appeared to be heading in, if not for the intervention of Iain Davidson, who deflected the ball wide. Incredibly though, despite being under the pump for the majority of the match, Rovers took the lead in the 69th minute. Once again, it came as the result of a foul on Duggan, this time in the penalty area after foul from Mark Durnan, which allowed Vaughan to slam the ball past Robinson from the penalty spot. 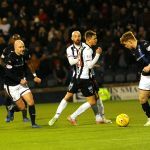 Rovers main focus up until this point had been trying to remain in the game, but with the bit now firmly between their teeth, Dunfermline, for the first time in the match, were on the back foot, and it was 2-0 in the 79th minute after a well worked goal. Duggan was the architect, galivanting run down the right flank before sending in a great cross to the back post, where Lewis Vaughan bulleted home a diving header to spark wild scenes in the home stands. 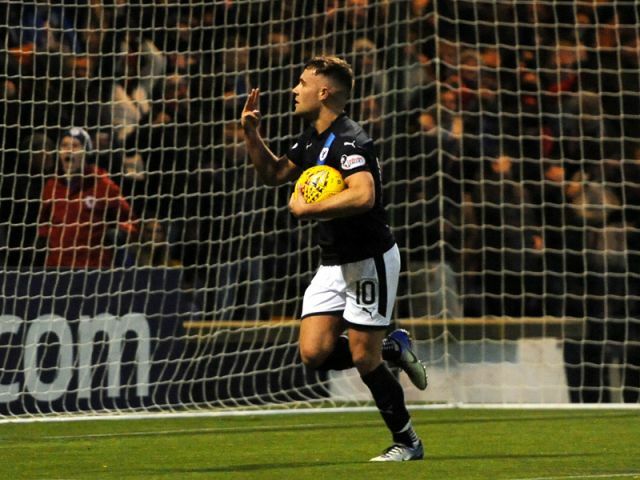 It wasn’t finished there though, and Vaughan sealed his hat-trick in the 81st minute, pouncing on yet more hesitancy in the Dunfermline rearguard, he raced through on goal and thumped a shot past a flailing and hapless Robinson, as Rovers threatened to rout their visitors. 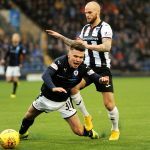 Dunfermline looked a jaded and dejected outfit by this stage, and despite Rovers looking good for a fourth, they couldn’t extend their lead in the game’s closing moments. 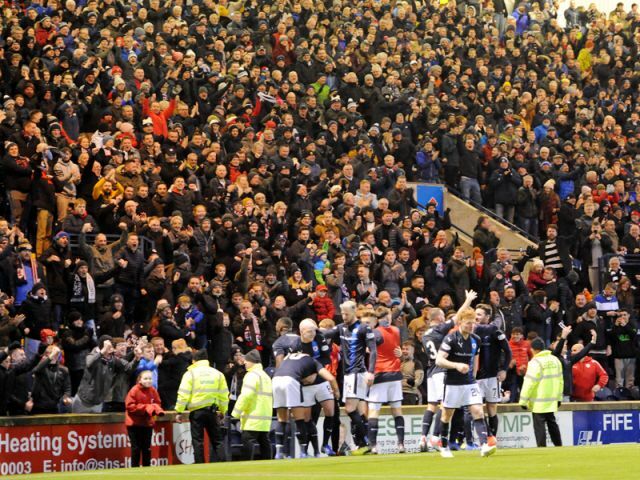 The result was a welcome fillip to the season, and the scenes at the end showed exactly what it meant to everyone connected to the club. One change to the starting line-up. Flanagan starts and Buchanan drops to the bench. New signing Lyness also makes it to the bench. Raith getting the game underway. The manager spoke with RaithTV after the 3-0 victory over Dunfermline. 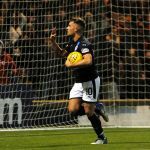 Raith Rovers will put league business to one side this weekend, as they renew their rivalry with near neighbours Dunfermline Athletic in a Scottish Cup fourth round tie. 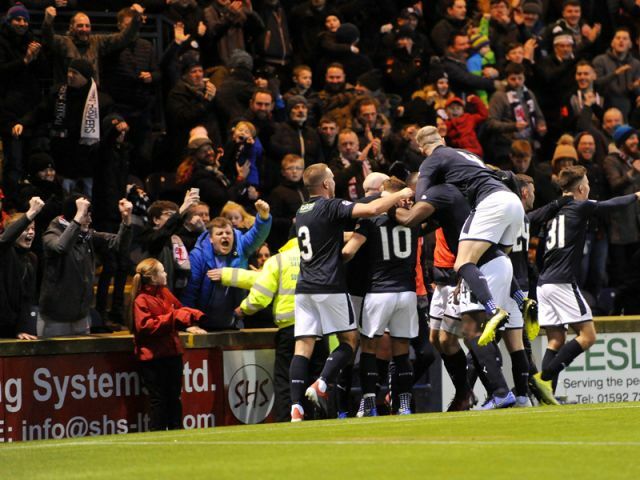 It’ll be the first competitive meeting between the sides in over two years, and Rovers will be desperate to get one over the Pars for the first time since August 2016, when goals from Bobby Barr and Mark Stewart sustained Rovers 100% start to the season at Stark’s Park. 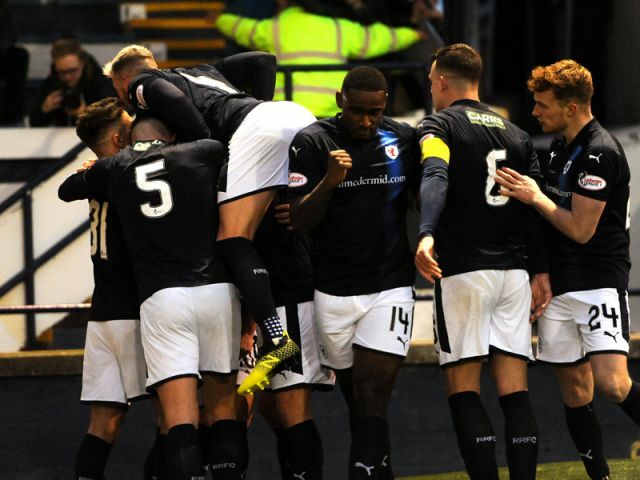 They’ll be up against a Dunfermline team which has recently changed it’s manager, after Allan Johnston left his post following a 2-2 draw with Alloa Athletic, with Stevie Crawford installed as his replacement. 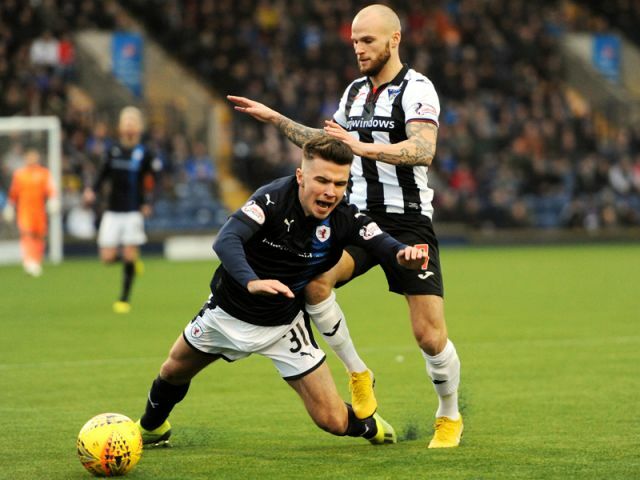 Crawford’s first match was a 1-0 loss to Dundee United at Tannadice last weekend, which brought to an end Dunfermline’s four match unbeaten run. 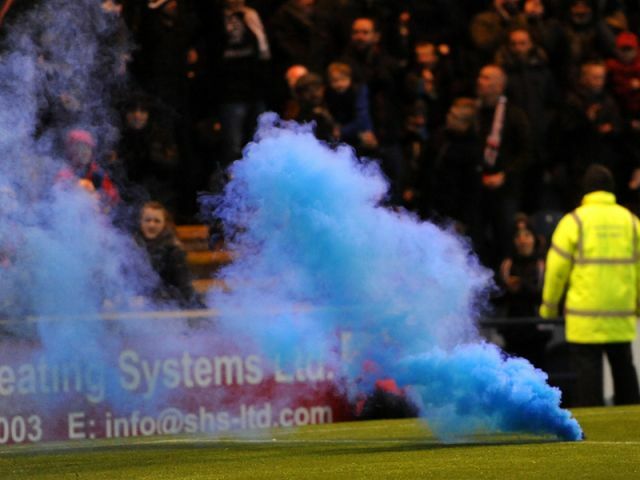 The result left Dunfermline seventh in the Championship table, six points away from a promotion playoff place. 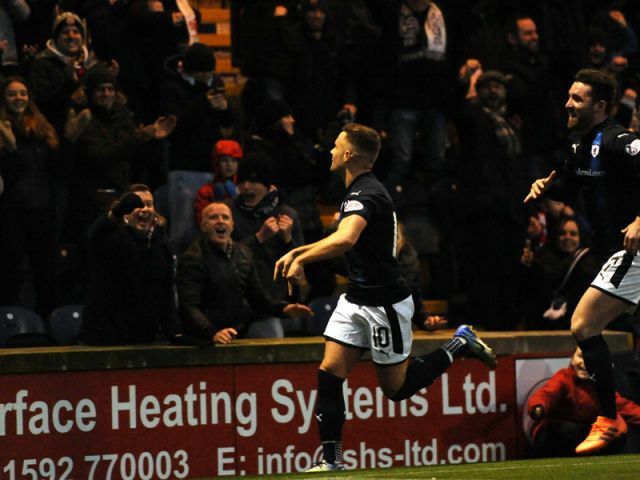 However, if they can rectify their home form, which has seen them pick up just nine from a possible 30 points at East End Park this season, a tilt at a top four place wouldn’t be beyond them in the second half of the campaign. This will be the two sides first meeting in this competition since 1985, when Rovers lost by two goals to nil in a first round tie at East End Park. If Rovers are to progress to the fifth round, they’ll have to overturn a pretty poor record against the Pars, with just two wins and two draws from the last 10 meetings.